Marianna was born and raised in São Paulo, Brazil. She moved to San Diego, CA in 2009 to improve her English and experience new learning possibilities. After discovering The Feldenkrais Method® professional training at The Feldenkrais Institute of San Diego, Marianna decided to stay in the country and pursue this newfound passion by earning her professional degree. Marianna was incredibly fortunate because throughout her studies she has had the privilege to learn from several of Moshe Feldenkrais' expert practitioners including Elizabeth Beringer, Bonnie Humiston, Alan Questel and David Zemach-Bersin. Along the way, Marianna discovered that The Feldenkrais Method® combines two of her deepest beliefs. The first is that every human being has the capacity to improve their quality of life both physically and mentally. And second, despite age, background and physical limitations (or so we think) we can achieve a better way of functioning and sensing as a whole self. These beliefs combined have fueled Marianna's dedication to this practice. 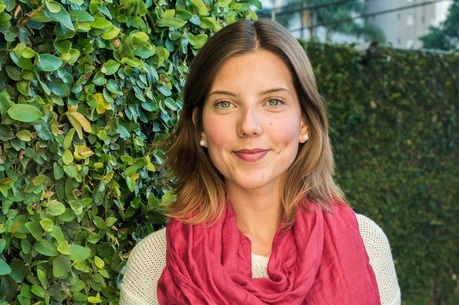 In addition to her time at The Feldenkrais Institute of San Diego, Marianna has also been working as a child care provider. Marianna's experience in providing support to children and families during significant transitional stages of life, especially pregnancy, led her to another important journey. In 2014, she became a DONA childbirth Doula and had the honor to be trained by Ana Paula Markel. She also teaches 'Pregnant Pauses® Movement for Moms' based on the Feldenkrais Method®. She is also a certified Rebozo Instructor for the Rebozo Connection. Through The Gena Kirby Method, she shares with birthing parents and birth professionals a powerful and ancient connection tool that supports and aids in the process of labor. 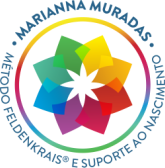 Marianna is a Feldenkrais practitioner certify by the North American Feldenkrais Guild. Her ultimate wish is to support individuals and families in achieving fulfillment through the Feldenkrais Method® and gentle birth experience. After 7 years living in CA she moved back home to Brazil to share her learnings at her own home place.